In Facebook's first town hall meeting featuring founder and chief executive Mark Zuckerberg, several of the questions had a personal tone -- including why he wears the same shirt everyday. Facebook chief operating officer Sheryl Sandberg quickly pointed out that Zuckerberg has a lot of the same kinds of T-shirts, according to the Next Web. Essentially, if he even takes a few precious seconds to grab a clean pair of jeans and a shirt -- he's stealing that time away from Facebook. Aside from the sheer lunacy of the statement, Zuckerberg is actually stealing the whole simplified wardrobe idea from Apple founder Steve Jobs. Steve Jobs reportedly had 100 Issey Miyake black turtlenecks, and likely dozens of Levis, that served as his uniform while working at Apple. 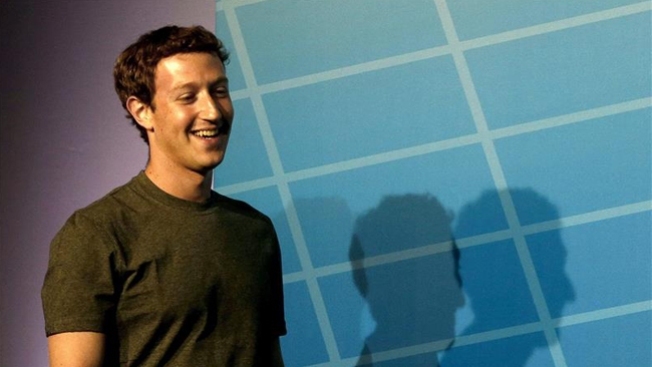 In 2013 report, Zuckerberg had about 20 gray T-shirts. While Jobs said the uniform was for convenience, some say it's also about creating a trademark look.